HOUSTON – An immensely popular rideshare company is the target of a Harris County woman’s state district lawsuit accusing one of its drivers of physical assault. 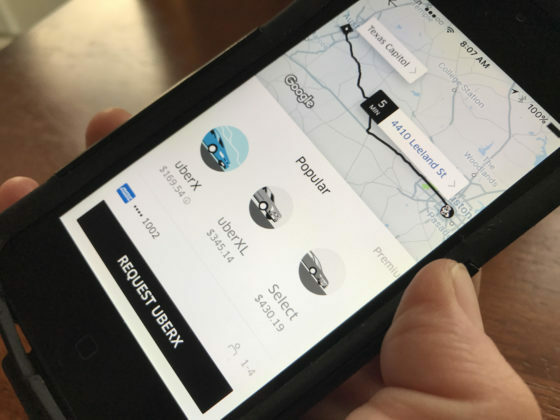 Adrienne Solomon filed the suit against Uber Technologies, Inc. on Feb. 5 in the Harris County 152nd District Court. According to Solomon, she ordered a ride for herself and her mother through the app on Dec. 2, 2018 and was matched with a motorist named Janice Marie Kinmon. The suit explains that Kinmon demanded that the plaintiff and her mother exit the vehicle during the ride. “When the plaintiffs did not immediately leave the vehicle, Kinmon went to the passenger door and attempted to physically force Adrienne (Solomon) and Evelyn (Cohen) out of the car,” court papers say. Kinmon, who joins Uber as a co-defendant, reportedly hit Solomon in the neck and left the women standing on the side of the street. Consequently, the complainant seeks unspecified monetary damages and a jury trial. She is representing by the law firm Williams Kherkher Hart Boundas, LLP in Houston.